What was your inspiration for the costumes? Harriet and I looked to the history of Cunningham costumes to inform our choices for this performance. We wanted to both honor the past and update certain tropes in order to reflect our own ideas about costuming dance today. The logistics of this huge event played a big part in our decision making. We needed to accommodate 81 dancers representing a broad range of dance backgrounds and spanning around 50 years in terms of age. 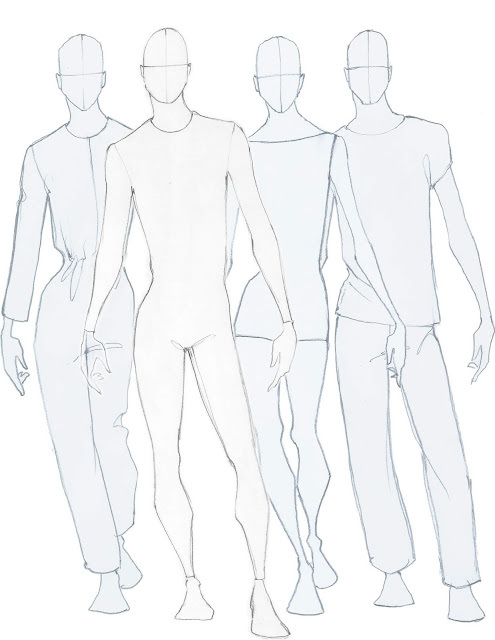 To make sure everyone would feel comfortable in their costume we made a sort of menu of five silhouette options ranging from very tight and revealing to somewhat more spacious and pedestrian. 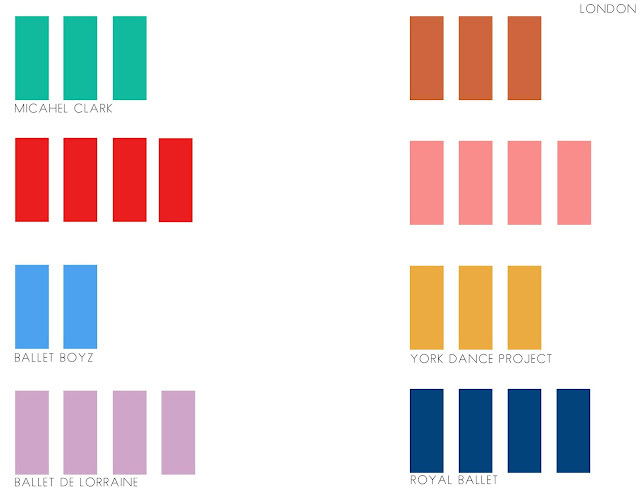 We also chose eight colors that would exist in different proportion within each cast and certain colors were chosen as indicators of the dancers' professional backgrounds. You danced with several companies. How and when did you begin designing costumes as well? And how did you begin working with Harriet? 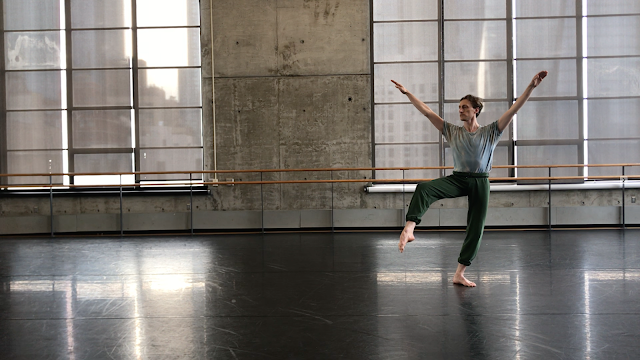 While I was dancing for Shen Wei Dance Arts I had already spent nearly a decade in dance companies and I started thinking about my life beyond a dance career. After some reflection on my own interests I perused a fashion design education. I attended the Fashion Institute of Technology while dancing for the Lar Lubovitch Dance Company and it was there that I met Harriet Jung who was in the same women’s apparel design program. Friends and colleagues from the dance world started reaching out to me for costumes early on in my schooling and by the time school was over I made the decision to cultivate a dance costume practice and business as opposed to a fashion design job. Harriet and I started collaborating on jobs intermittently while we were in school. In the couple years following FIT we would work on some costume design jobs together while she was working as a designer at Jill Stuart. Eventually we made Reid & Harriet Design our primary focus. As a dancer, you trained in Cunningham’s technique, but were not in the company. How do you feel about performing in the Cunningham centennial event? I was surprised and honored to be asked to dance in the centennial event. I’ve been taking Cunningham classes very sporadically for nearly 20 years. I know that sounds like a long time, but there have been huge breaks in my Cunningham practice. I feel connected to the Cunningham universe through my connections to the former company members and because of the time I spent training at Westbeth. I’ve never performed Cunningham repertoire, so it’s a totally exciting and foreign experience. How has the coaching/rehearsal process been, and with whom did you work on your solo? I learned my solos from Andrea Weber, Jean Freebury, and Patricia Lent. I also got to do a little coaching with Banu Ogan while I was in LA doing fittings. The learning process has been incredibly fun and positive and being in the studios with the former company members and other amazing cast members has been inspiring and humbling. Watching the cast members who come from such a broad array of backgrounds learn and approach the material so differently has been really eye opening. Do you think that when you’re designing a costume, it helps to approach it from the perspective of a dancer? When I’m designing costumes for dance, my experience as a dancer is constantly present. It’s not an intentionally deployed device that I draw on for dance design. It is inherent because of my life experience. Working with Harriet often challenges me to see beyond traditional notions of dance costuming. Her experience is not constrained by a lifetime of wearing clothes designed for dance functionality. Our two perspectives allow for problem solving that often yields better results than we could have arrived at alone. Night of 100 Solos: A Centennial Event comes to BAM April 16 and will be livestreamed online here. Susan Yung is senior editorial manager at BAM.